We have been amazingly lucky in love, with each other and most recently with our sweet son whom we adopted a couple years ago. We deeply desire to expand our circle of love to include another child. It would be our privilege, our joy to become parents again. Thank you for considering us as potential parents of your child. First Family Photos with Anthony! Our most amazing adventure began with a call letting us know that a birth mother had chosen us to parent her child and that the child would be born in 24 hours! 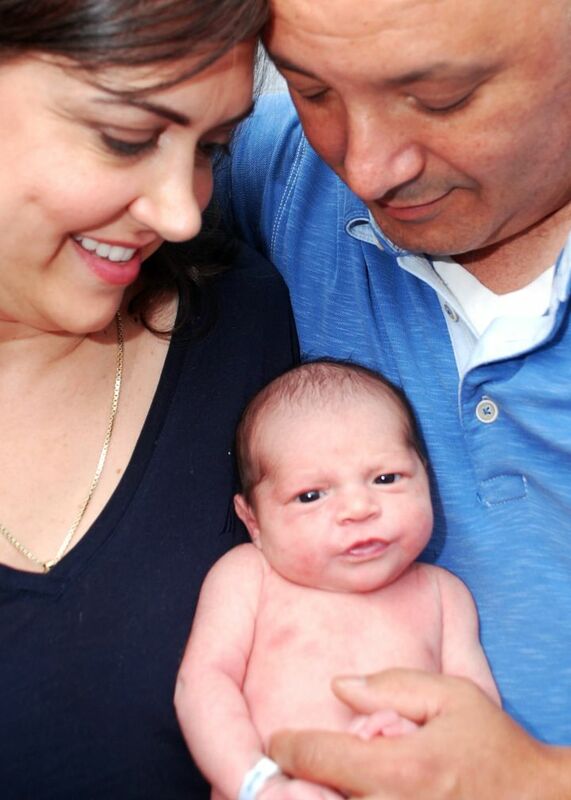 We were overwhelmed with joy when we held that child, our son Anthony, the next day. Several close friends have adopted children, so we had an idea of how beautiful a family with adopted children can be, but our expectations have been blown out of the water. We love our son like crazy and not a day goes by when we don’t feel incredibly fortunate to be his parents. 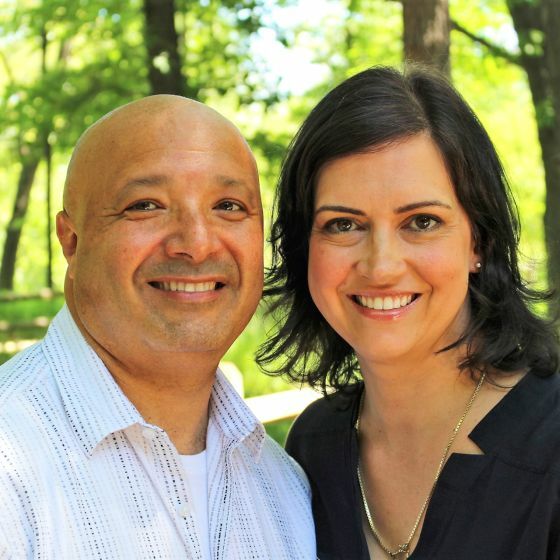 An important part of our wonderful adoption story is Anthony’s birth mom. We cherish having met her and getting a glimpse of her brave and loving heart. We see her in Anthony’s beautiful eyes and smile. She is on our list of people we thank God for and pray for each night, and we think of her often, especially on Anthony’s birthday and Mother’s Day. She will always be a special woman to us. We send her a lot of pictures and letters and are open to more contact if and when she would like it. Each adoption story is uniquely beautiful and we will raise your child, like Anthony, to honor his birth parents and to love his adoption story. Our hearts are ready for another most amazing adventure! Hortensia: I grew up hearing Abuela -- my grandmother -- play the piano at home, and that inspired me to learn to play the guitar. I also enjoy dance and have a background in ballet and tap. Music is an important part of my life, and I love sharing this passion with little Anthony. I also enjoy gardening, flower arranging, cooking, throwing parties and arts & crafts. Now that I have Anthony, I’ve re-discovered how much I love teaching children. Tony: When I was a kid, my brothers and I used to take things apart, figure out how they work, and then put them back together. Today, I like to do the same kind of thing on a larger scale. We own and rent out a couple apartment buildings that I’ve renovated and repaired. A couple of years ago, I designed and built a wood stable for our outdoor Nativity figures. I also enjoy drawing. Together, we share many interests. One of these is our passion for discovering the world through travel. We've explored Greek ruins, Renaissance churches in Rome, Spanish colonial towns in the New World, and dozens of places in the USA. We’ve hiked in tropical rainforests, canyons, and spectacular fall foliage. We’ve kayaked in rivers, lakes, mangroves, and bays. Our son Anthony already enjoys walks in the forest preserve near our home. We hope to share our passions with your child and look forward to many adventures as a family! Tony was born in Belize, in Central America, and moved to Chicago with his family when he was very young. Belizean culture embraces diverse races, nationalities and cultures including Spanish, Mayan, Afro-Caribbean, English, Irish and Scottish. Tony’s personal heritage includes a wonderful mix of all of the above! Hortensia was born in the United States but both of her parents emigrated from Cuba. Her family preserves many Cuban customs, including the celebration of Nochebuena (Christmas Eve) and home-cooked Cuban meals. Hortensia speaks Spanish fluently and has a strong interest in Hispanic music, history, culture, art, and cuisine. Our son is also of Hispanic heritage. Hortensia likes to read to him in Spanish and share Spanish children’s songs with him. We enjoy many different Hispanic restaurants and neighborhoods nearby. We happily share Hispanic culture with him and will explore aspects of Hispanic culture that may be especially meaningful to him. Family means the world to both of us. We are very close to our parents and siblings. We talk to or see members of our families every day, for ordinary things like catching up, helping with a repair, planning a dinner party, or taking care of someone who isn’t feeling well. We also share special events together such as birthdays, holidays, first communions, graduations, and anniversaries. No matter the occasion, our families have a ton of warmth, laughter, and healthy chaos to go around. A special highlight each year is the 4th of July reunion of Tony's relatives which we like to host at our home. It is a fun-filled day of grilling, volleyball, soccer, water balloons, and marshmallow-roasting together. In Hortensia's family, the smell of black beans, roasted pork and sweet plantains fill the house on special occasions, such as Christmas Eve. For birthday celebrations, cakes are thoughtfully planned, even for adults! Grandparents, aunts & uncles and nineteen cousins feel blessed to have our son Anthony in the family and love him so much. Grandparents go into withdrawal if a few days have passed without seeing Anthony. They can't wait to hold, play with and welcome your little miracle, too. Our extended families await this baby with big hearts! We live in a historical, tree-lined neighborhood. Our home has three bedrooms and welcoming spaces for a child. Our yard is perfect for hosting family and friends and for kid playtime. There is an amazing forest preserve across the street. It is a marvelous place for children to play or explore every season of the year, whether it be collecting brightly-colored fall leaves, running through the winter snow, watching spring colors take over, or hiking through the green forest during summer. A grassy meadow across the street is the site of picnics, kids playing sports, kite-flying, and cross-country skiing. A five-minute walk from our house takes you to our neighborhood playground, often full of kids. Each year, the neighborhood association organizes fun events such as an Easter Egg hunt, 4th of July parade, and a Halloween party. The whole neighborhood gets decked out for Halloween and Christmas. A five-minute drive takes you to a swimming pool, athletic fields, a sledding hill, a lively park district that offers children’s programs, and first-class schools. We also have the extraordinary resources of a major city, including zoos, an aquarium, a planetarium, a botanical garden, children’s museums and a farm. Anthony loves visits to all these places and we can’t wait to share these fun activities with your child! We can only imagine your thoughts and emotions as you consider an adoption plan for your child and review profiles such as ours. We know that the important decisions you make for that child are filled with a love that is intense and deeply personal. As we think about you we want to reach out of this letter and give you a hug. 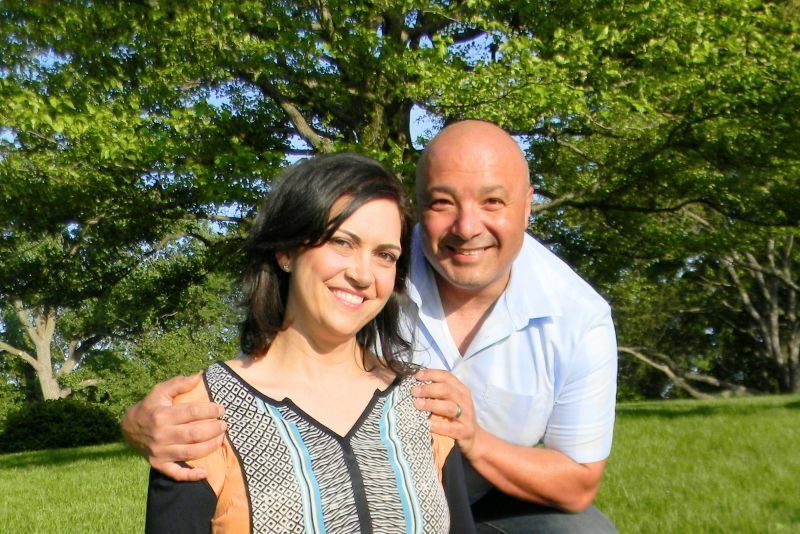 A bit about us… We met on a fabulous blind date, set up by dear friends. We connected on all levels on our first date and we couldn't wait until our next date. It became clear to us that God made us for each other. We've been married for seven years, and we still look forward to every chance we get to be together. Some years back, we experienced the heartbreak of three miscarriages. Knowing in our hearts that we were meant to be parents, we enthusiastically looked to adoption as the way to grow our family. Sure enough, adoption has been the biggest blessing to our family. We will forever be grateful to Anthony’s birth mother for the gift of his life and for entrusting us with the marvelous privilege of being his parents. We are eager to expand our family and share all our hearts and resources with another child. Both of us grew up in big families and we have always cherished having siblings. We would love our son and your child to grow up together as siblings in our family. Our son, Anthony, is super social. He is the kid who walks up to other kids or makes room for them to sit next to him. He is happy, silly, active, curious, smart, kind and affectionate: all the makings of a great brother! Our children will each have his or her own special adoption story and relationships, but both will share the fact of having been adopted. Hortensia left a successful practice of law to stay at home with Anthony and can’t wait to be mom to another little baby. Tony is a field training officer in law enforcement. He uses his interpersonal skills and patience to train new officers to serve and protect citizens. He works five minutes from home so he can spend a lot of time with the family. Together, we’ve become great partners in the adventure of parenting! Our children and their true happiness will always be our top priority. Your child will learn about being loved and loving others in the supportive circles of family and friends, where affection and affirmation abound. We will help your child experience God's unconditional love. Home will be a nurturing and fun place for your child to grow, as well as a launching pad to blaze his or her own trail. We can’t wait to see what interests and natural talents your child develops and will encourage him or her to develop these. We will help the child obtain the best educational opportunities. This includes not only excellent schools and extracurricular programs, but also a wide array of positive life experiences. We will share the family traditions we enjoyed - Christmas decorations, Easter egg hunts, and memorable family vacations - and would be happy to share with the child additional family traditions that are dear to your heart as well. We are committed to sharing pictures and letters of the child with you, and we welcome making arrangements for visits when the time is right. We are eager to know you and are happy to work together to maintain a healthy relationship. We thank you for considering us. Whatever decision you make, know that God has an amazing purpose for your child’s life and for yours. French fries with salt or ketchup or both! How she cares so much for me, our son, for family and friends. She gives from the heart, 100%. "Do to others whatever you would have them do to you"
"And we know that in all things God works for the good of those who love him." All of them ... I was a nerd. Maybe history if I had to pick one.